Carefully select drawings from those you have created. Make your selection based on which drawings show the strongest use of the method. All 5 from direct observation. 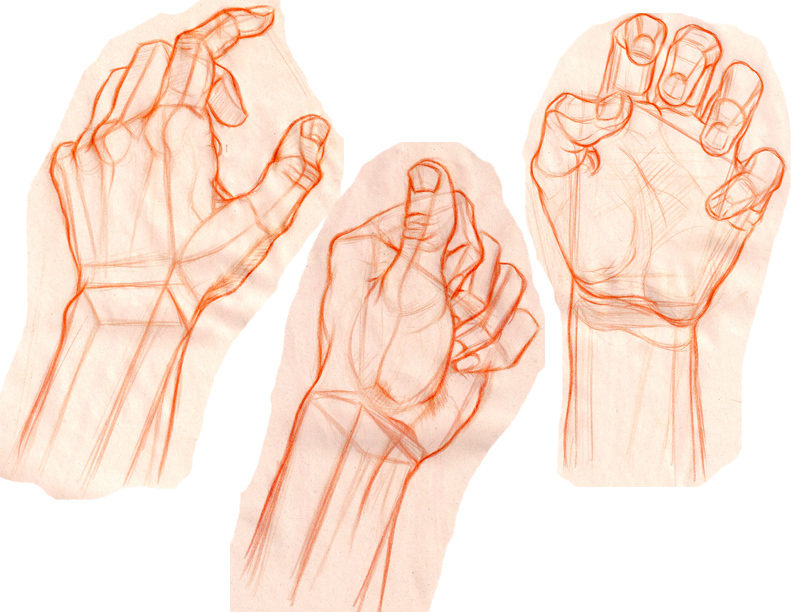 Build up more and more organizational lines to create hand.Here are some examples of the method applied to hands. Read chapter 4 VALUES and pg 79-80 (using value to depict volume/types of light and shadow). Know the language/phrasing of lights and shadows.